The official Battlefield 3 blog was updated today to include a full rundown of the features found in the upcoming Aftermath downloadable content addition. Crucially it also includes pricing details and an official announcement of the DLC’s planned release date. We’ll get to that in a moment, but for those of you who just walked in, the Aftermath DLC for Battlefield 3 is focused on long-range combat and vehicles. The maps in this DLC are larger than any of those so far seen in the game, and it also adds new weapons, new game modes and a wide range of vehicles. Additionally, those who played through the singleplayer portion of Battlefield 3 will recall a scene in which the entire city is torn apart by a massive earthquake. Aftermath, in what might be the first display of continuity in the main Battlefield series since its debut, takes place after that earthquake, and all of its maps will feature rubble and other noticeable effects of the ‘quake. If nothing else this should set its map designs apart from those currently available for the game. As for what it specifically adds to the game, there’s the new silent crossbow (pictured above), four new maps, and a new “Scavenger” game type in which players spawn with only a pistol and are forced to scavenge for better gear. As per usual, the DLC also brings with it new Achievements/Trophies and dog tags for dedicated fans to spend obscene amounts of time collecting. Assuming all of this has your interest piqued, you’ll be glad to hear that Aftermath arrives on November 27. PlayStation 3 owners who have purchased the Battlefield 3 Premium service will be able to use the new content first, while Xbox 360 owners and PC gamers will have to wait until December 4. Assuming you have Premium, you’ll be able to download the DLC addition for free the moment it’s available, but those who choose to pick up this DLC by itself will be charged $15 and will be unable to play as early as November 27. 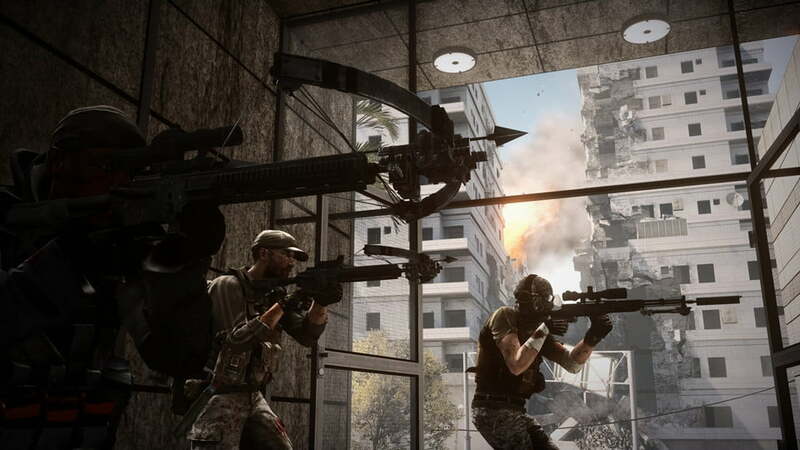 Unless Battlefield developer DICE has secret plans for future Battlefield 3 DLC, it’s also important to remember that after this Aftermath DLC arrives, the game will only receive one more downloadable addition. It’s appropriately dubbed “Endgame” and is expected to appear in March of 2013.